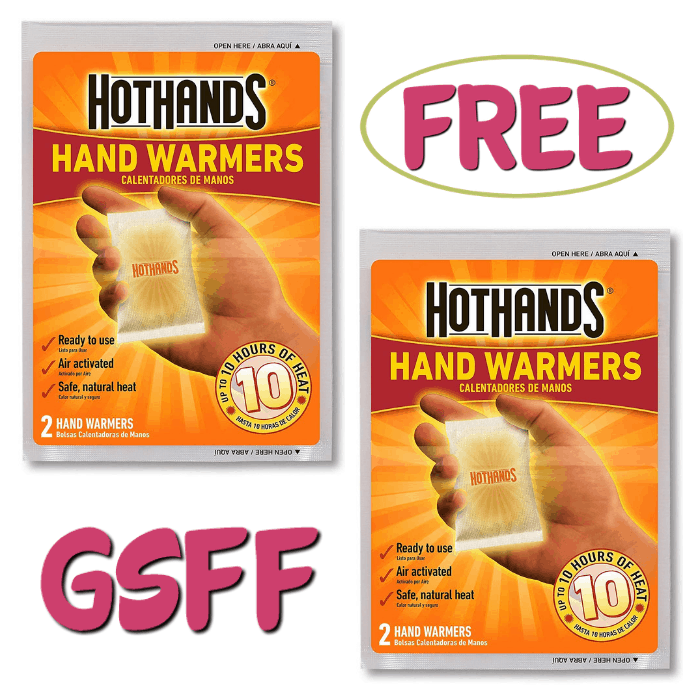 You are here: Home / FREEbies / FREE HotHands Hand Warmers! Now that it’s freezing outside…, it’s important to be covered from head to toe. Bring the heat and prevent your body from being sick from the cold weather with the HotHands Hand Warmers! Don’t miss your chance to grab a FREE 3-Pair Pack of HotHands Hand Warmers from Walmart for new TopCashBack members! The HotHands Hand Warmers are convenient, compact, and portable. They are designed so you can enjoy it anywhere, anytime. These hand warmers are made of natural materials including iron powder, water, salt, activated charcoal, and wood fiber, perfect even for little hands and little pockets! One of the best air-activated warmers in America. Single-use air-activated heat packs that provide everyday warmth and are ideal for keeping your body warm when the temperature gets cold. Air-activated and uses safe, natural heat. Lasts for as long as 10 hours. Spend at least $7.95 or more via this special link —> TopCashBack and get $7.95 in cash back! Add at least 1 “HotHands Hand Warmers” priced for $7.95 to your cart then shop as normal and checkout. You must spend at least $7.95 to get this deal. If the price changes or anything happens to the stock, the deal is officially over. Pay $7.95 or more. That’s it! The $7.95 will post to your TopCashback account within 14 days, and the amount will become payable within 14 days. Cash back can be credited straight to your checking or PayPal account. Note: Transactions must contain at least $7.95 worth of purchases to ensure the $7.95 cash back is credited to TopCashback accounts. Transactions may initially track lower, but within the 14 days after purchase it will be uplifted and turn payable at the amount of $7.95. Transactions may take up to 7 days to appear in your TopCashback account. The deal is open until 11:59pm PST on 02/01/2019 or until supplies run out; whichever happens first; applicable for purchases made directly after clicking through TopCashback. Only one TopCashback account is permitted per member.